2010 was an amazing year! 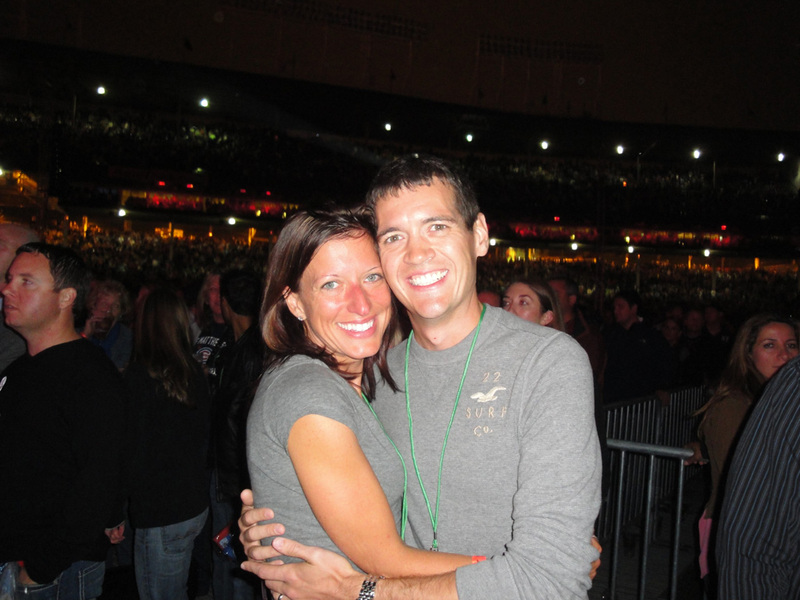 Rob and I had many fun flights in our airplane, we saw Dave Matthews Band two times this year (my favorite band), Jason Mraz (also a fave) and the Dan Band, went to our first Cubs game, kicked it in Vegas, went sailing for the first time, and ran some memorable races along the way. 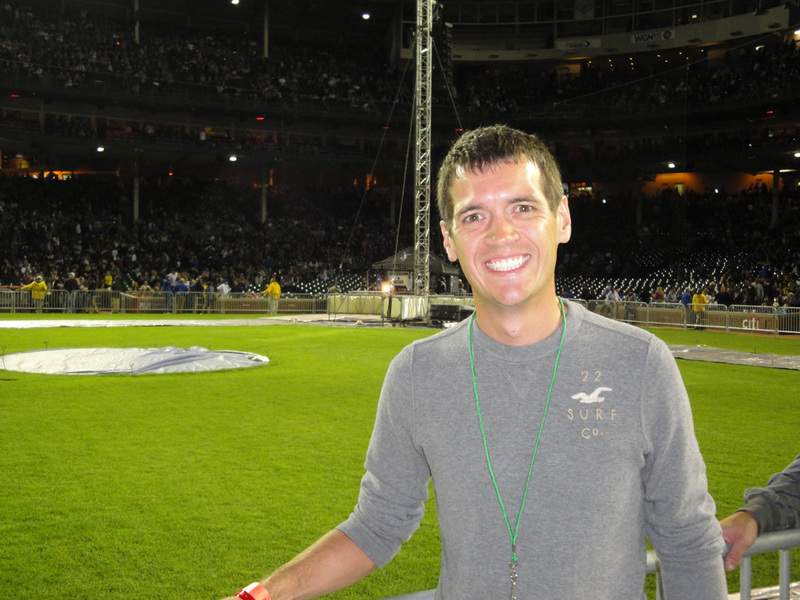 2010 running highlights include qualifying for Boston Marathon three times at Mercedes Marathon, IL Marathon and Chicago Marathon. Meeting Kara Goucher and Constantina Dita, plus getting to be a part of the Often Running Racing Team. 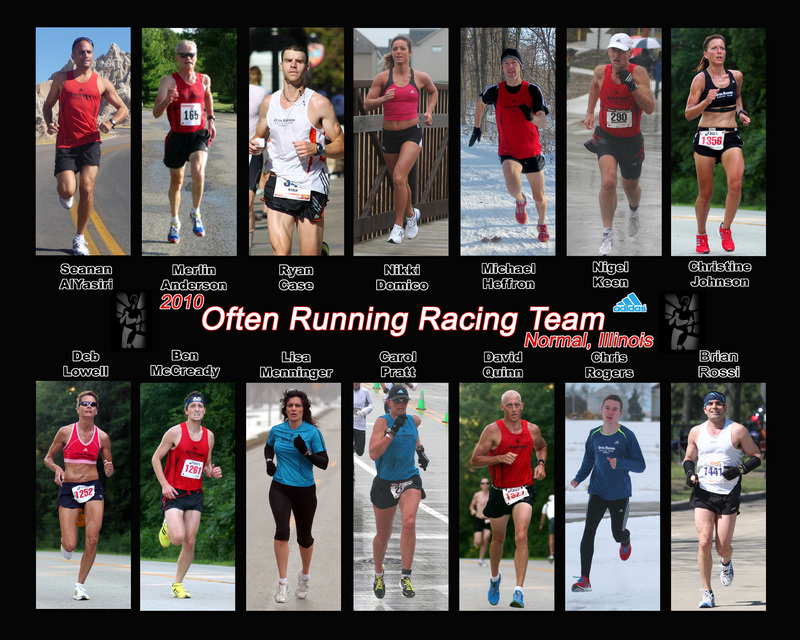 I’m so proud to represent the Often Running store, adidas, and this group of individuals. 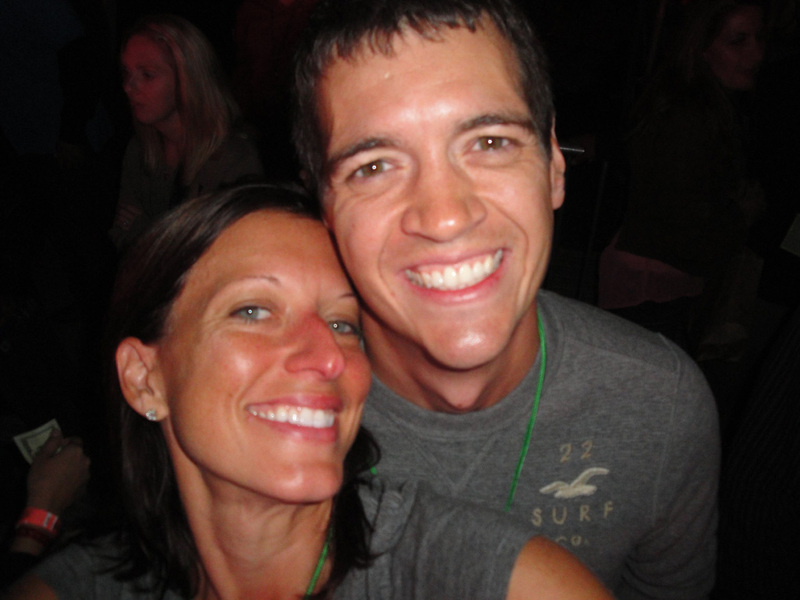 They have been so supportive and have helped Rob and I become better runners along the way. We have a lot of fun running and hanging out with them. Thank you to Twin Cities Smile Photography for the team photo that will be displayed in the store. I couldn’t be happier with 2010 and the running season! 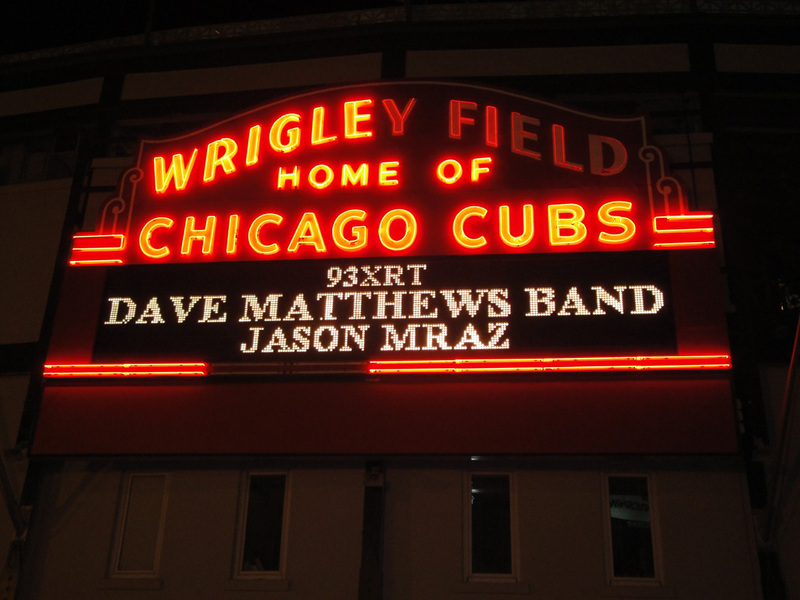 Categories: Cubs, Dave Matthews Band, Flying, Jason Mraz, Las Vegas, ORRT, Out and About, Travel | Permalink. Saturday was such a whirlwind that I’m just now getting around to writing about it. 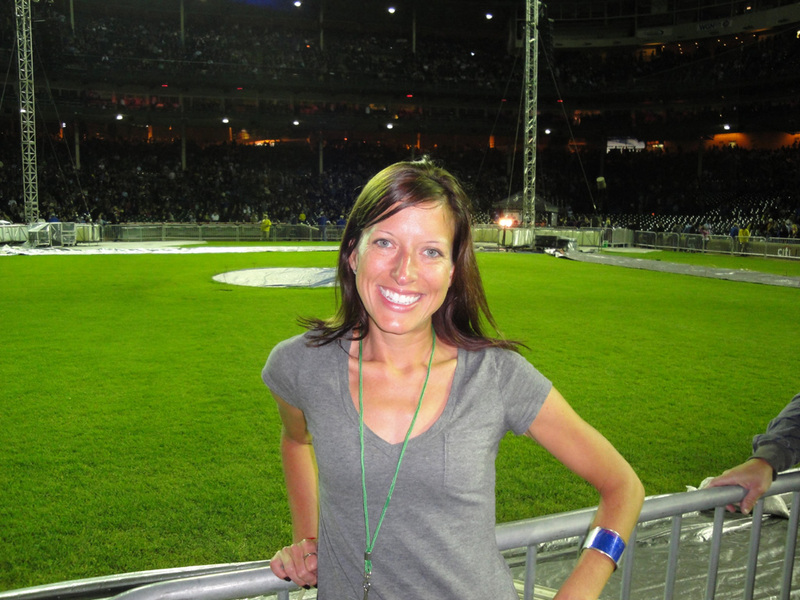 As soon as we finished with the USAF Half Marathon we were in the car and on the road from Dayton, OH to get to Chicago, IL by the evening to see Jason Mraz and Dave Matthews Band at Wrigley! Unfortunately we hit traffic and were running late to get to the show. We figured we would be okay since we had bought VIP tickets. In the past with VIP tickets through the fan club (Warehouse) get really good seats. With general admission on the field we expected a sectioned off area up front to be reserved for the VIP. Also, the beer and food is all free as it is built into the price of the ticket. Turns out they did have a VIP section….in the back. Oh and the free beer and food, was at Cubby Bear across the street and was cut off at 8pm, so that was a bust as well. To even get up front we would have had to have been there when the gates opened at 4pm which we would have never made with the trip. So we spent WAY too much on tickets that got us no decent view, beer or food. We would have been better off with regular tickets. Jason was amazing! I only wish we could have seen his whole set. We will definitely be looking to find a chance to see him again. Since there was no way to predict that this VIP would be different from others in the past we went and got our own beers and made “The Best of What’s Around”. 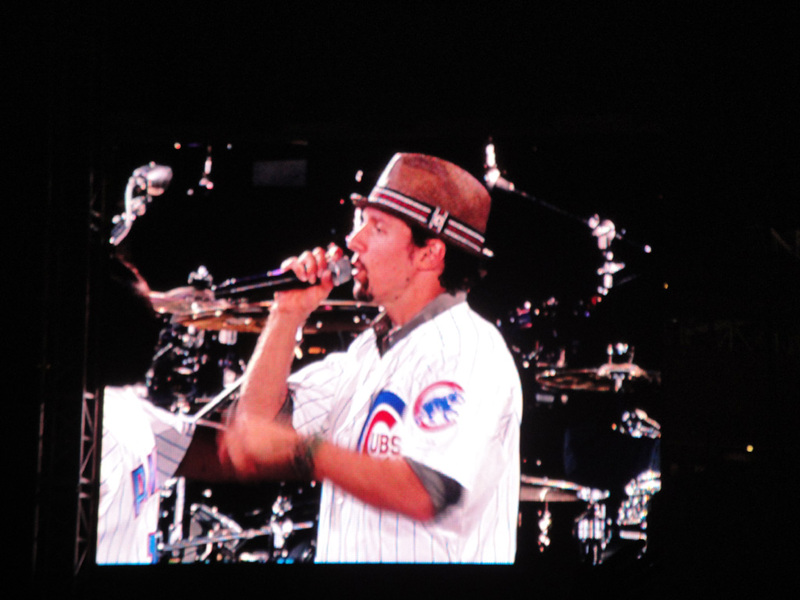 😉 After Jason’s performance we took advantage of the opportunity to get pictures of Wrigley Field up close. 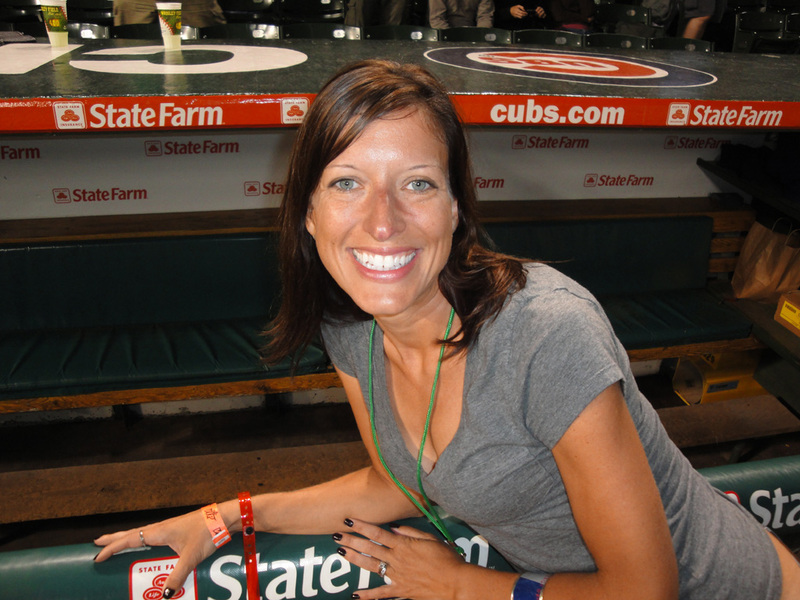 Being in Chicago is always the best!! 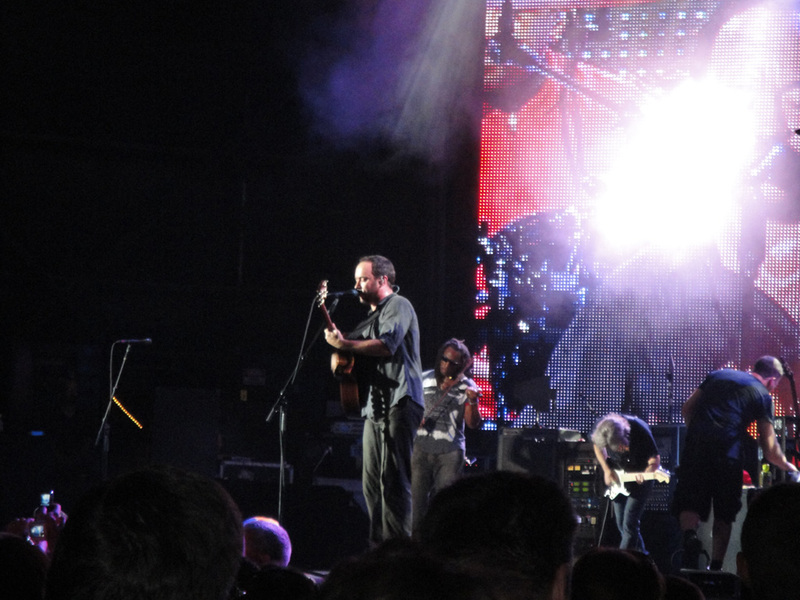 DMB was fabulous as usual! It doesn’t matter how many shows we see, they are always a entertaining. 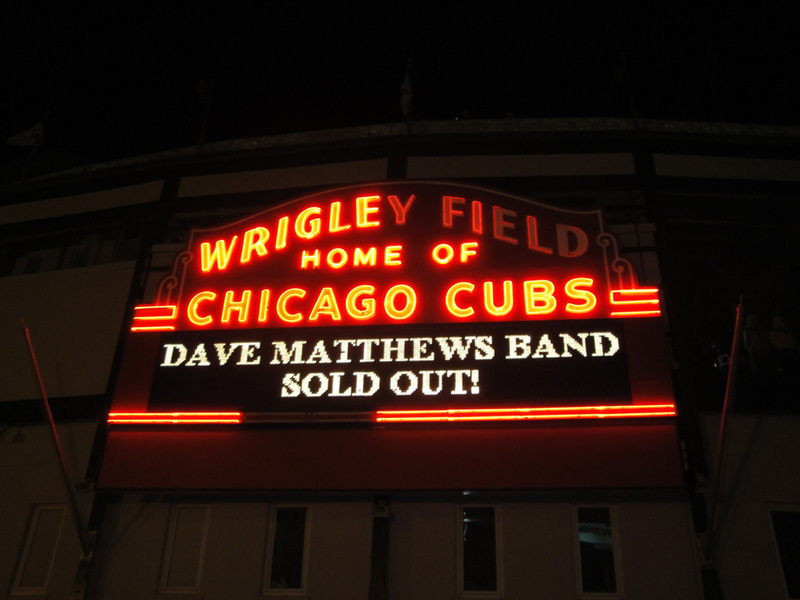 Categories: Chicago, Cubs, Dave Matthews Band, Jason Mraz, Out and About | Permalink. It’s been way too long since I’ve posted. Things have been super crazy busy so I will try to recap the last week. It was time for more track work with Ryan. We ended up doing half of our workout in the pouring rain. Ryan didn’t run each lap with me this time and instead circled the track as Rob and I got to work. Ryan had Rob running 400s and he gave us tips and critiques along the way. This wasa new challenge for me because I had to hit the pacing for each set on my own, it was hard to get the feel. My brain started to melt at Lap 13, a familiar feeling from last weekend. My first official two-a-day! Woo hoo! About time!! I was supposed to stay at 8:15, but went a little fast. 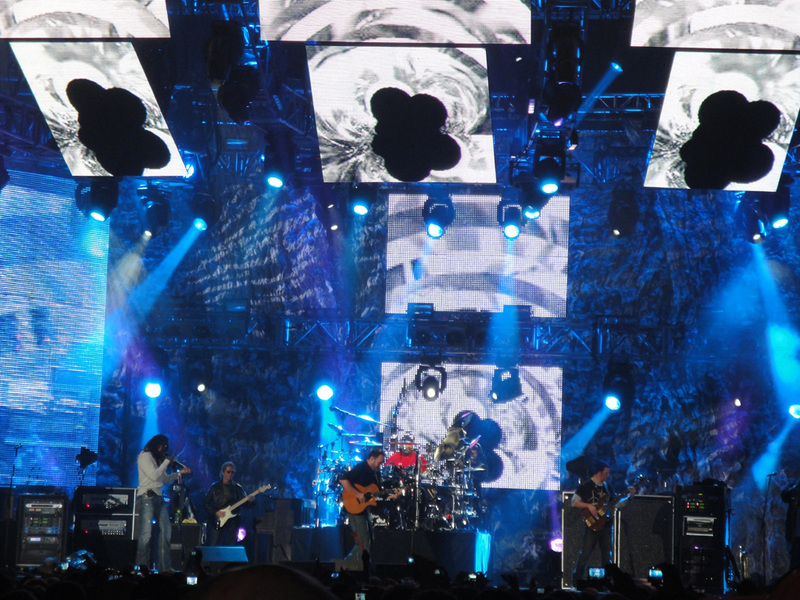 We traveled to St. Louis to Dave Matthews Band!! Once Rob and I got to St. Louis we took our run to the Gateway Arch, which was a lot of fun for some new scenery. This time my legs were tired and I was slower than the pace I was supposed to hit. And for fun, here is a picture of Dave. Rest day!! I took full advantage and did nothing! Time to wake up my legs for the Steamboat Classic 15K on Saturday, the toughest 15K in the mid-west! Up next, my Steamboat Classic 15K race report!! 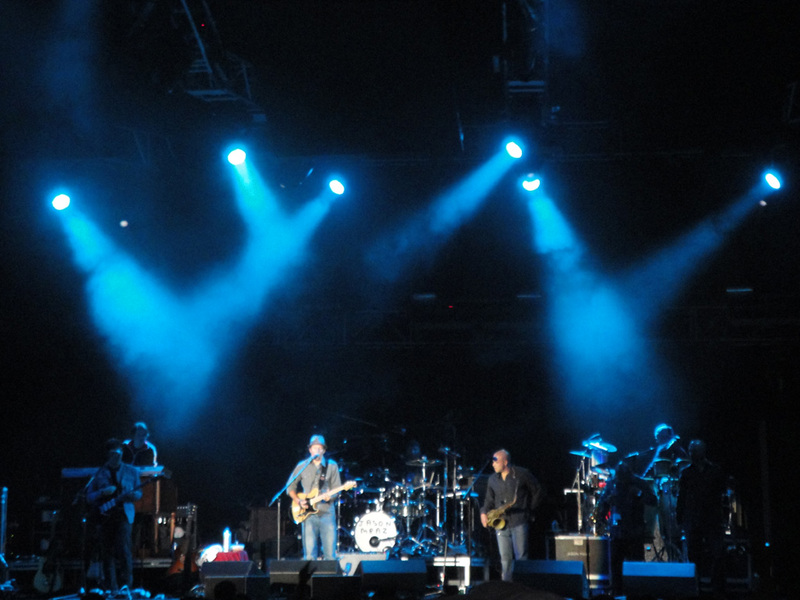 Categories: Concert, Dave Matthews Band, Track, Training, Travel | Permalink.